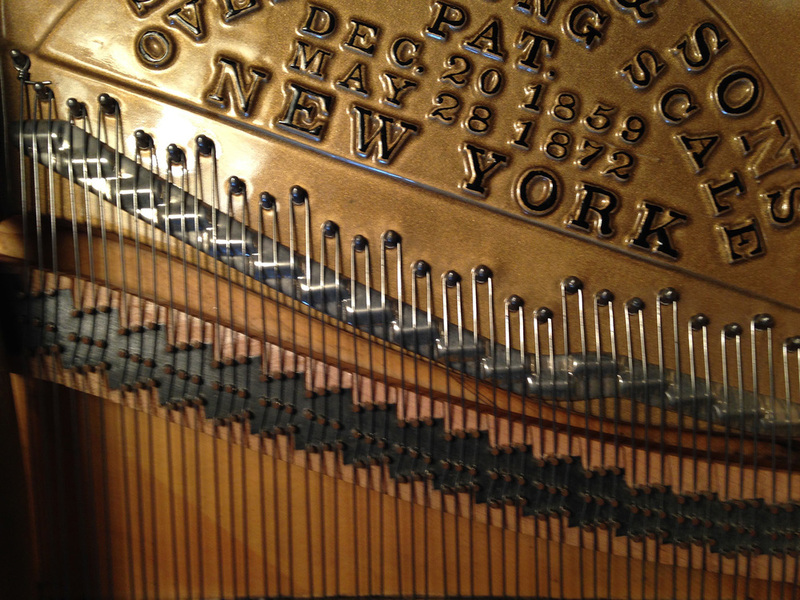 Dust and dirt accumulates over time and is difficult for the piano owner to clean in areas under the strings, on the soundboard, plate, and around the tuning pins. The piano technician has special tools to get into those areas, without damaging the strings, to make it look and function like brand new again. A piano soundboard before and after cleaning under the strings. Dust and grit also collect in a piano over time and end up in places that are neither visible nor accessible to the piano owner. This dust and grit eventually works its way into the working mechanism of the piano, leading to loss of functionality and premature wear. Visit our online store for piano cleaning and polish products & supplies.